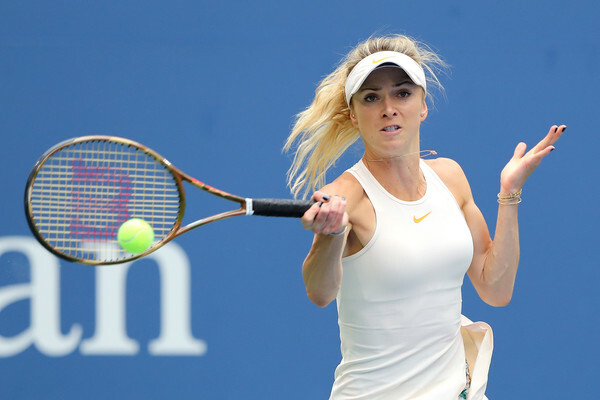 It was yet another solid performance from Elina Svitolina as she ousted Wang Qiang in the third round of the 2018 US Open. Even with the weather experiencing a huge change today, Elina Svitolina dealt well with the new conditions as she stormed to a solid 6-4, 6-4 win over the dangerous Wang Qiang in the third round of the 2018 US Open, moving into the second week here in Flushing Meadows for the second successive year. After a terrific performance against Tatjana Maria on Wednesday, Svitolina’s good run of form continued with the clean display against Wang, who just won the Gold Medal at the Asian Games last weekend. The Ukrainian looks to reach the quarterfinals after setting up a winnable fourth-round encounter with two-time quarterfinalist Anastasija Sevastova, who defeated Ekaterina Makarova earlier on and aims to break the duck and finally achieve success at the Major level. Svitolina managed to claim 70 percent of her first serve points, and even more impressively, she won more than half of the points behind her second serves. 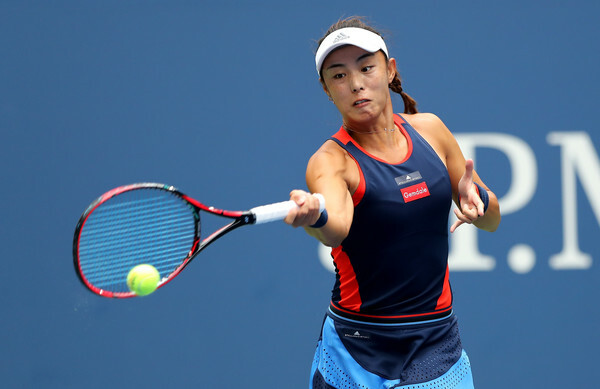 Wang performed poorly on serve, getting broken on five different occasions and also committing 27 unforced errors while Svitolina blasted 14 winners to just 12 errors during the course of this one-hour, nine-minute encounter. Svitolina had the perfect and confident start into the match, holding her serve comfortably but Wang soon also followed suit. Nonetheless, the Chinese definitely stepped onto the court feeling the nerves and those nerves were evident in the third game when she committed consecutive errors to hand Svitolina the opening break within a blink of an eye. Svitolina had no problems trying to consolidate the break but it was mainly Wang who could not find her groove out on the court. Errors were leaking from every part of her game but the Chinese’s best tennis came timely — allowing her to break straight back and level the scores. Losing 10 consecutive points, it seemed as though the momentum completely shifted hands but the tables changed once more when Wang’s first-serves went AWOL and Svitolina closed out the set with a terrific backhand down-the-line winner. Svitolina struggled in the early stages of the second set and Wang was fourth-time lucky as she converted on her fourth break point to jump out to the best possible start. She was wasteful on her chances before a backhand error by Svitolina finally handed her the favour. Wang tightly held onto her lead until 3-1, when Svitolina stepped up her play and stormed to a commanding 5-3 lead all of a sudden. The world number seven stunningly claimed 20 of the last 22 points while unforced errors filled Wang’s game. Svitolina failed to serve out the match, throwing in a double-fault on break point, but eventually broke for the win after hitting a volley winner on her first match point.